Cabaret: entertainment, show, floorshow or performance featuring music, song, dance or drama. Whether it's in a nightclub, restaurant or dancehall, having a distinguished feel to the venue is crucial to the success of a cabaret. The venue in this case was the Cabaret Cabana, situated on the coastal road out of Napier towards Hastings. With the lack of sandy beaches in Napier, and the fact that there was a shingle works depot just next door, it was not quite the idyllic location the name suggests. 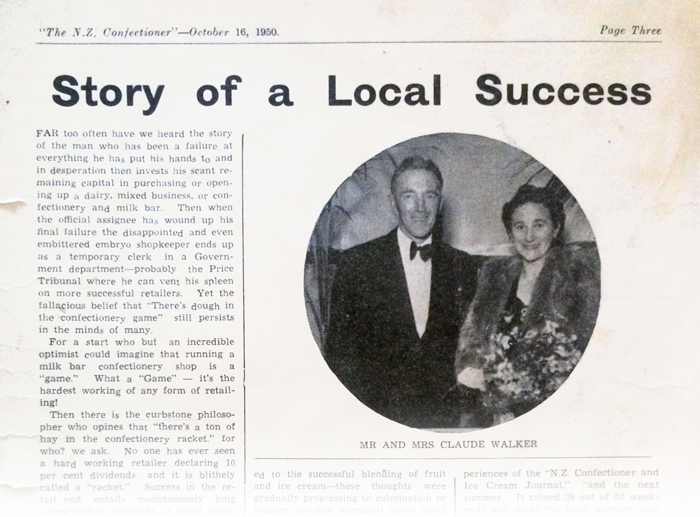 Claude and Melva Walker were local entrepreneurs who realised their dream and created the Cabaret Cabana. This was an extremely bold and innovative move for the times. 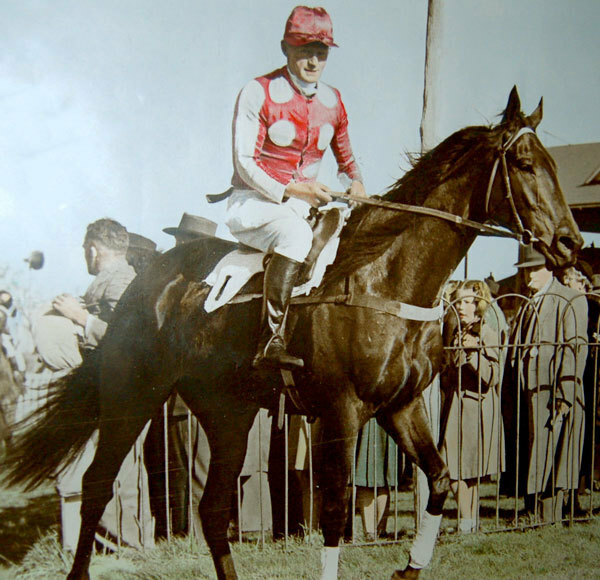 Their successful racehorses, Cabana, Lady Cabana and Golden Cabana, inspired the name. 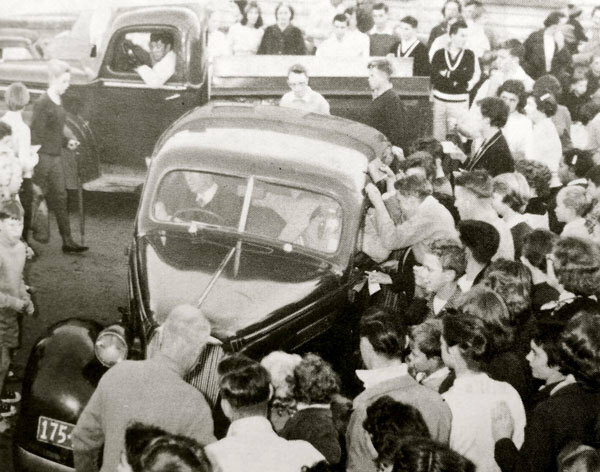 Originally from Helensville, Claude and Melva shifted to Napier in 1946 where Claude was offered the job of Post Office Manager. 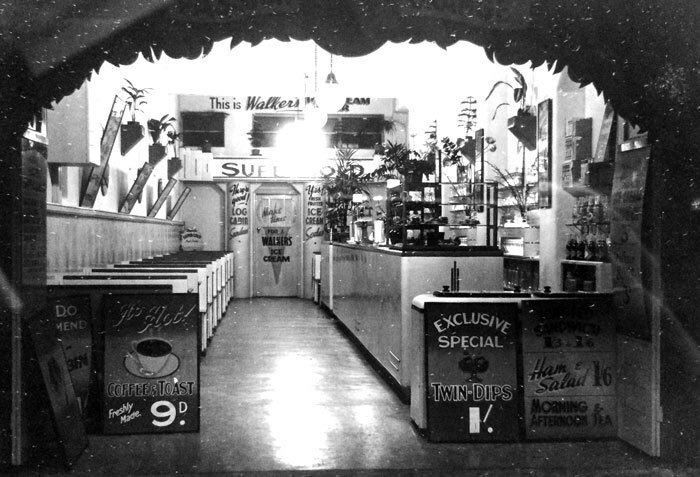 Within a couple of years they opened a very popular milk bar in the Napier city called Walker's Milk Bar, later to become better known as Palm Grove – during the mid 1950s it was “the” place to hang out on 50cc motorbikes and eat homemade ice creams. 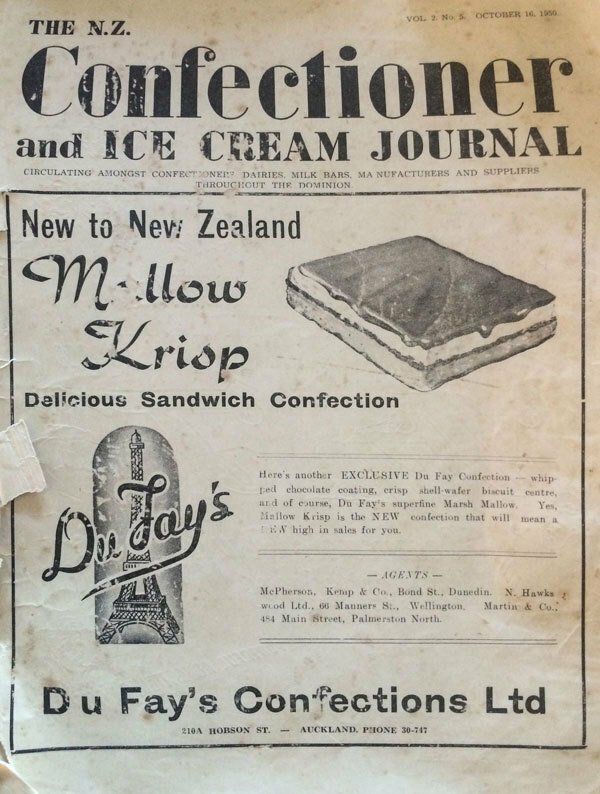 Walker's ice cream was manufactured by the milk bar in Emerson Street, Napier. Bodgies and Widgies would all hang out there in their tight jeans and suede boots listening to the jukebox from the leather bench seats. As a result of their success, expansion was soon required and Claude set about finding new premises for the manufacturing business. He found an old wool store out on the main road to Hastings, which he set about converting to suit his requirements. This building was in a very industrial area. 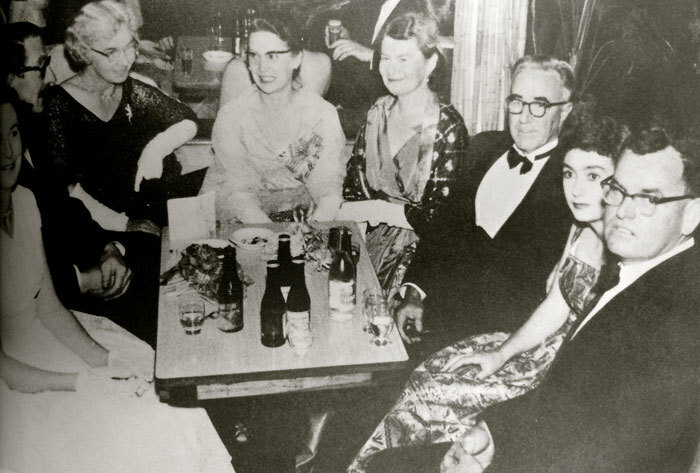 It was at this time Claude and Melva saw the possibilities in another business, and set about creating the cabaret, becoming entertainment hosts. 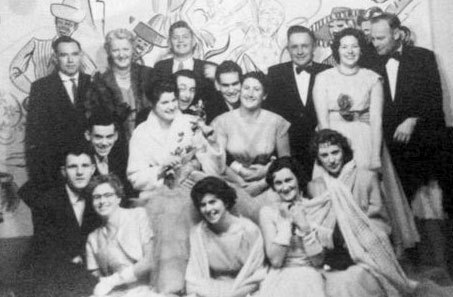 Cabaret Cabana’s Special Gala opening night on September 24, 1949 saw a visit from Mavis Edmunds, a New Zealand stage, screen and radio star. 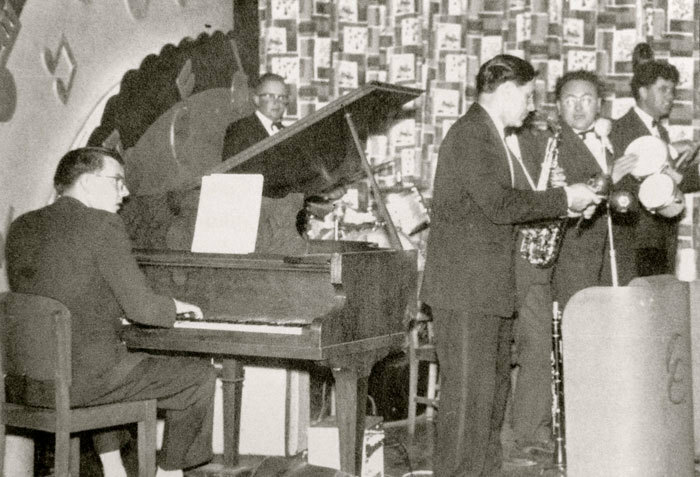 It was common to have a guest spot filled by a personality, and the backing music was provided by one of the many local jazz bands of the times. 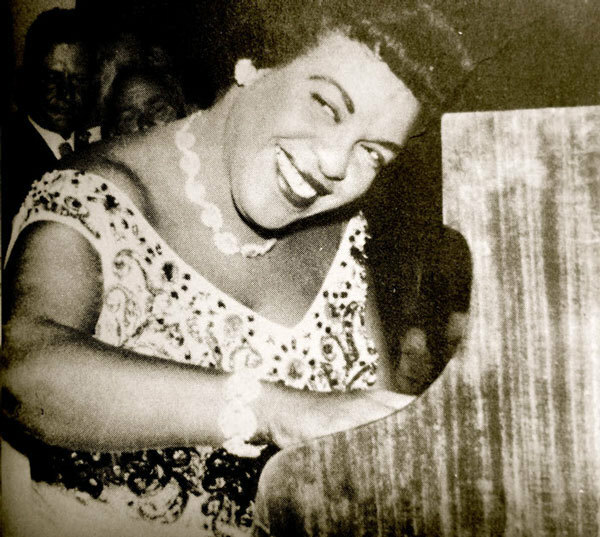 Marie Francis, a leading New Zealand modern pianist, visited in early 1950; around that same period Jimmy James and Ann Blewman of Wellington provided the crowds with a spectacle of dance moves with their Rumba and Zamba dancing. 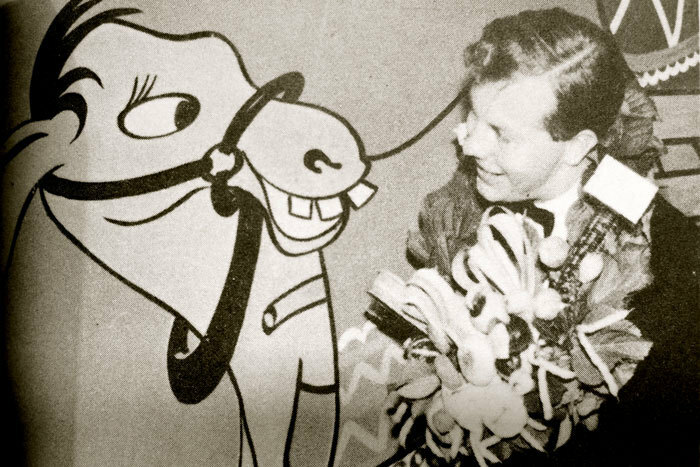 Vic Viggers, a local comedian and entertainer of those times, recalls the venue: “I was a member of the Napier Frivs when I was 16. I started as a drummer and also played the trombone. I went away to war, and upon my return began doing a comic routine. 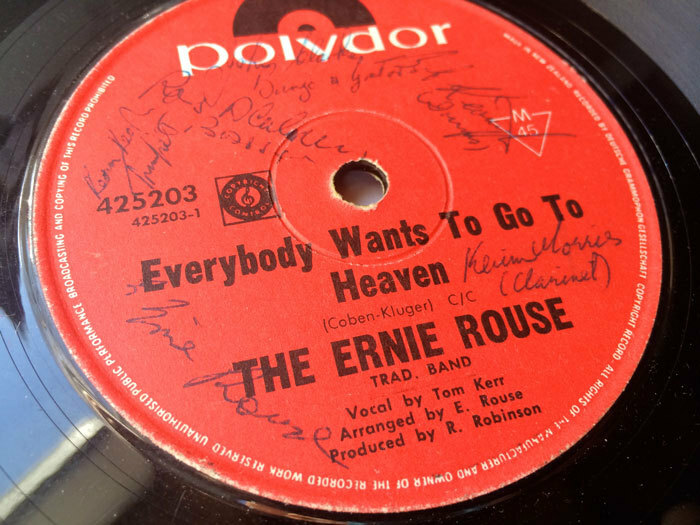 This gave me an introduction to the Cabaret Cabana and Claude Walker. "I performed a stand-up comedy act there; it was a great place to go to, or to entertain. 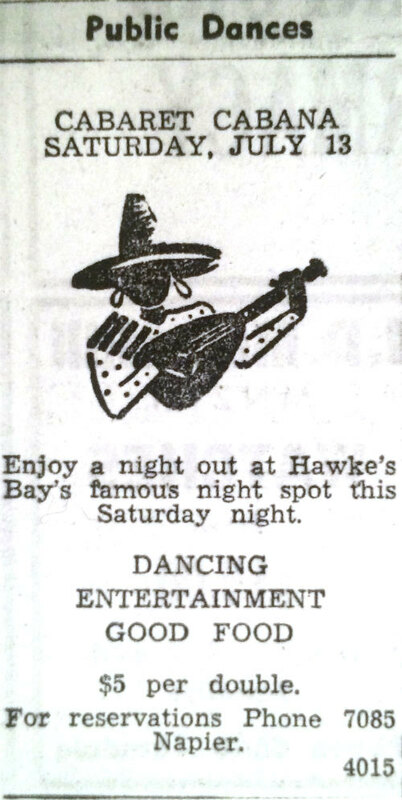 To start a cabaret out there was a very innovative thing to do and it was certainly something new for Hawke's Bay! Claude ran a very tight ship – no feet on tables! 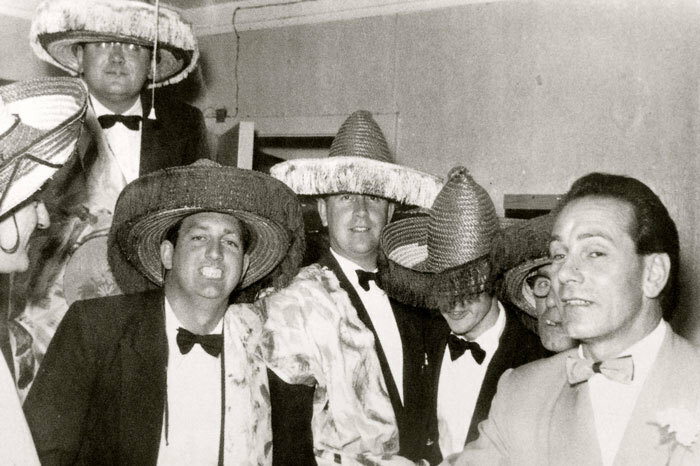 There was no such thing as a liquor licence in the fifties, so patrons had to smuggle grog in. They put it in the drains to keep it cool until the police had gone! It was always a well-patronised venue and there was seldom any trouble." The building itself was a well-constructed brick and concrete structure of approximately 13,000 square feet, which housed the cabaret, a milk bar and shop, and an ice cream factory. It had the capacity to seat 420 people, however quite often numbers would be close to 500 patrons. As the venue was a little out of town, two cottages were built on the land surrounding the venue for accommodation purposes. 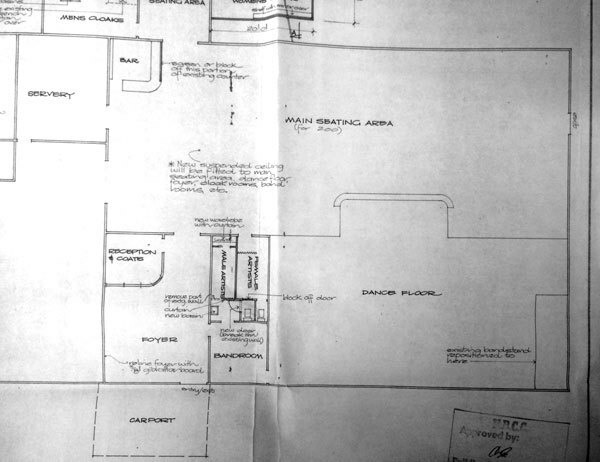 Plan shows the dance floor, band room etc. The Walkers were very astute business people, although Claude was a bit of a lad with the ladies. Melva though, was noted as someone that you did not mess with! 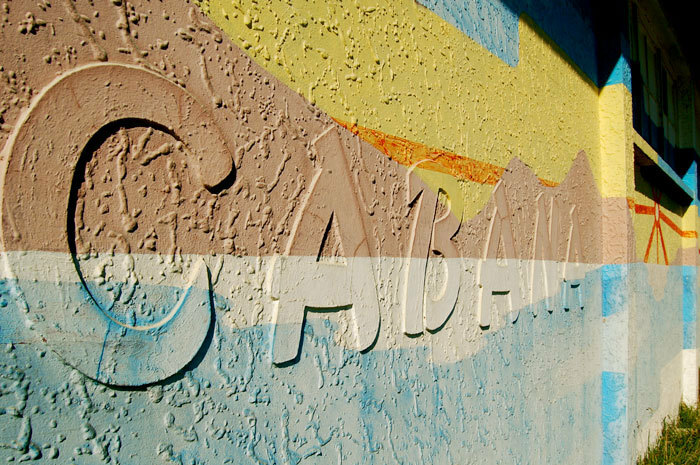 The Cabaret Cabana soon became a popular venue for dancing on Saturday nights. The Cabaret Cabana soon became a popular venue for dancing on Saturday nights. 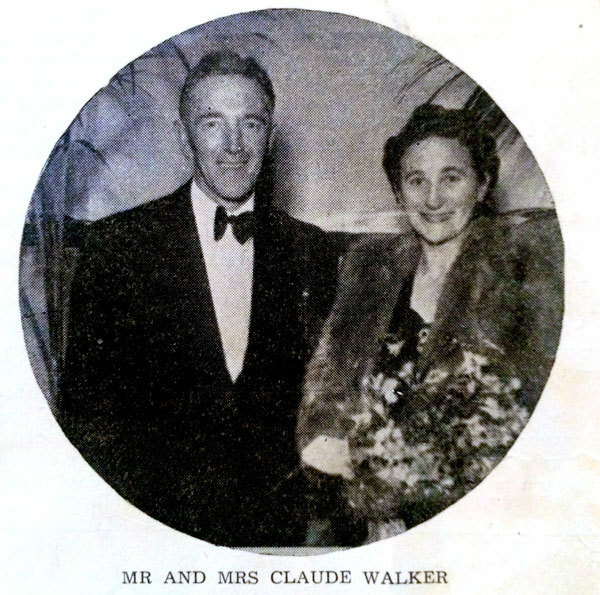 In those days there wasn’t really anyone offering anything similar as an example for the Walkers to follow, thus the club's remarkable success and popularity in Napier and the surrounding Hawke's Bay area must be seen as a tribute to the thought and effort Claude and Melva put in right from the start. 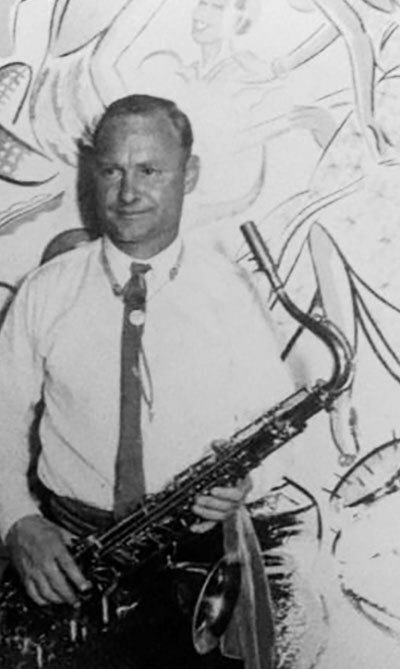 Claude Walker passed away in the mid 1960s. 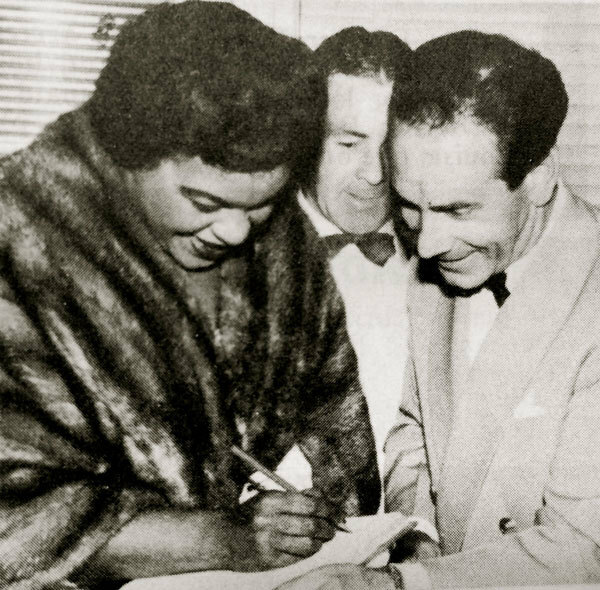 Melva Walker sold the Cabana hotel around this time, and passed away herself in 1993. Balls, private functions and weddings were a specialty. The cabaret would provide the entertainment, and the crowds kept coming. 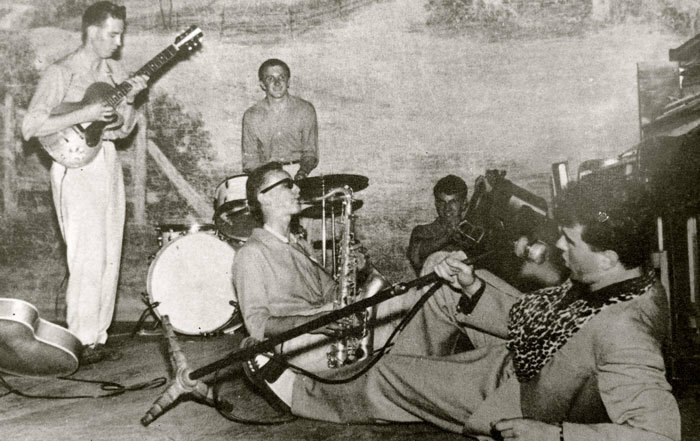 Local radio station 2ZC broadcast live from the Cabaret in 1959 with their Anything Goes series – it was reported that the function attracted an even larger Saturday night crowd than usual to the popular nightspot. 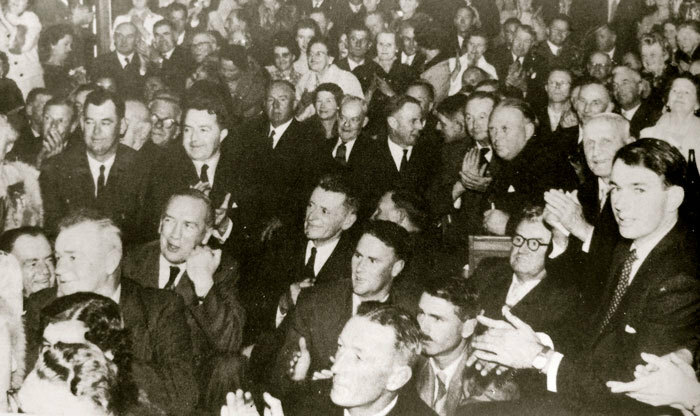 In 1960, the Counties Conference was held in Napier. Dominion Motors Ltd organised a private function held at the Cabaret Cabana for all the delegates. 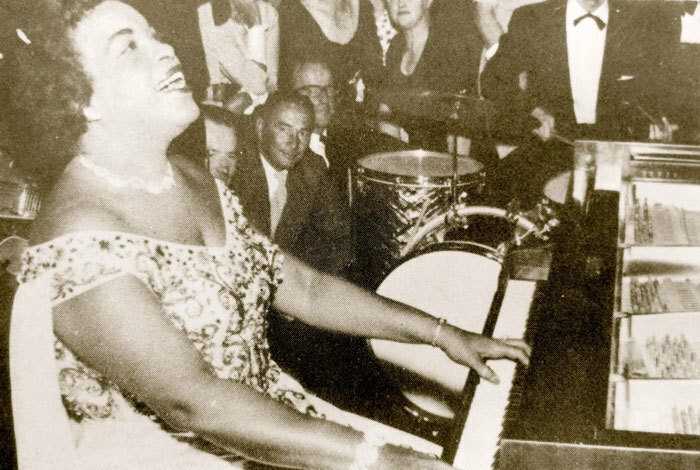 Winifred Atwell, the very popular boogie-woogie/ ragtime pianist from Trinidad, provided the entertainment on this very special evening. 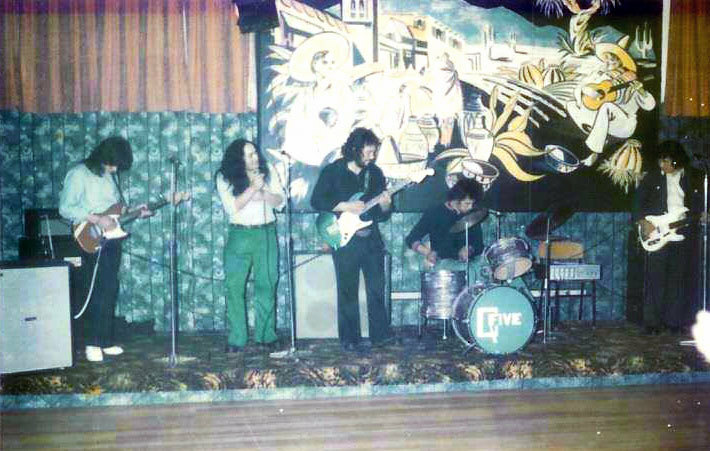 The Cabaret hosted many of the artists of the times, either touring special guests, or regular local musicians. 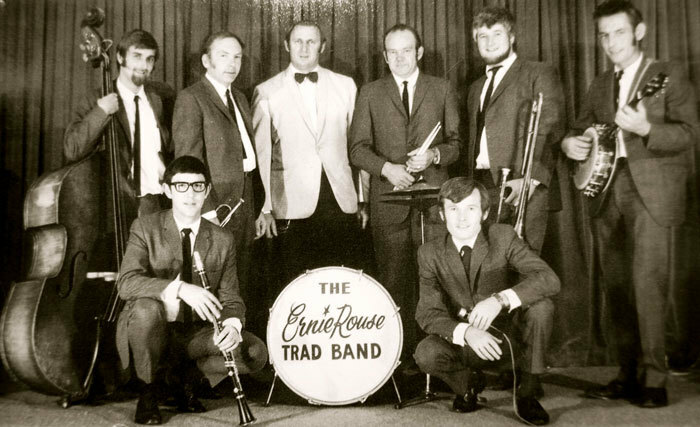 The Quin Tikis, Abe Phillips, The Shadracks, The Ernie Rouse Trad. Band, Marise McDonald, young Isobel Whatarau and The Clive Trio, The Dominoes, The Howard Morrison Quartet, to name but a few. 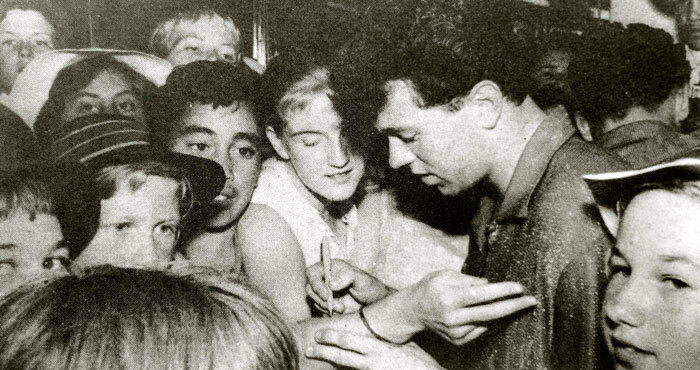 ‘A great night out’, is written on the back of this photo from the late 1950s. Musicians and friends gathered for this picture include Mark Ulyatt (top right), and Johnny Hale (third from right top). 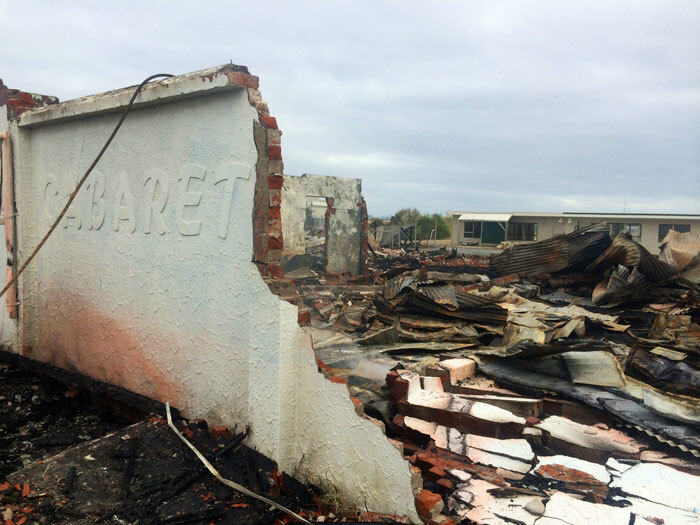 In the early 1970s Vic O’Brien saw room to expand the business and applied to the Council to have pre-built motel units placed on the grounds surrounding the cabaret. 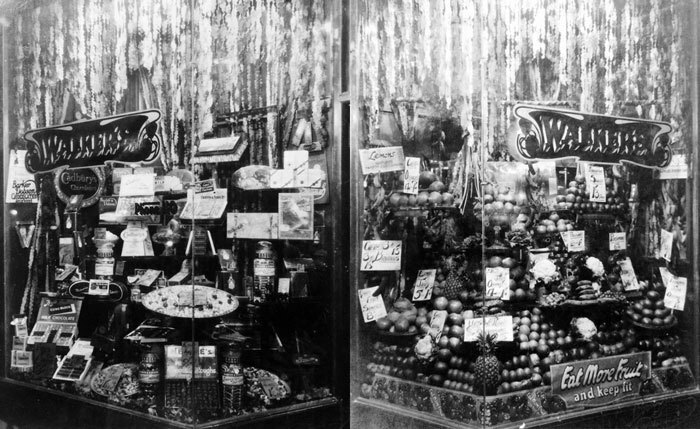 Vic also ran a successful restaurant, and catering business from the cabaret that supplied a large percentage of weddings and social functions with food around the district. "It was a rousing welcome, the driver certainly had difficulty getting away. Oh well! 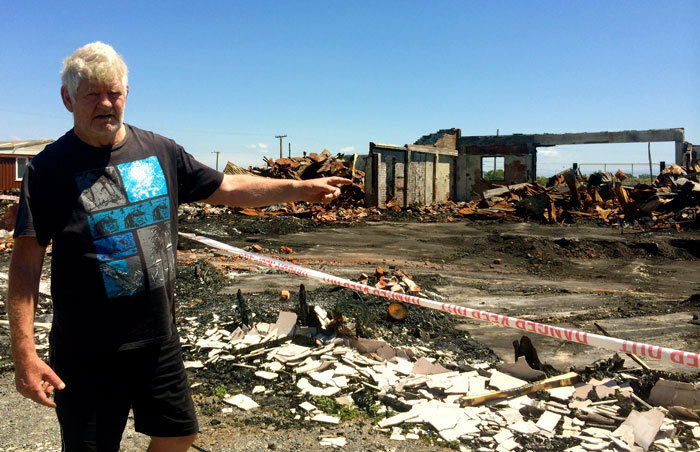 Its not every day a ‘top-­pops’ recording group visits Napier” (Hawke's Bay Photo News). 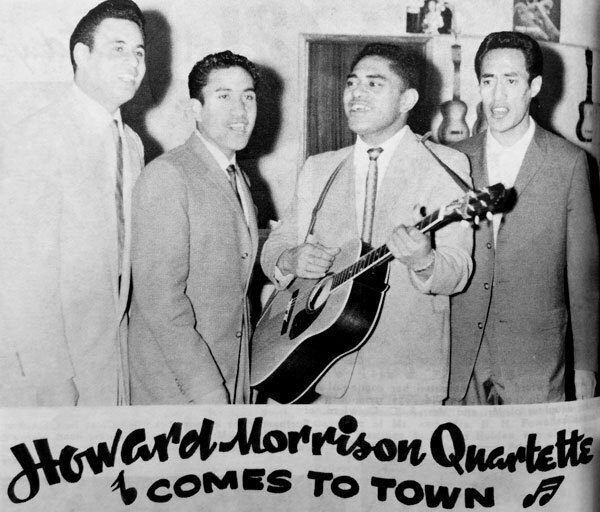 The Howard Morrison Quartet arrive in Napier in 1960. 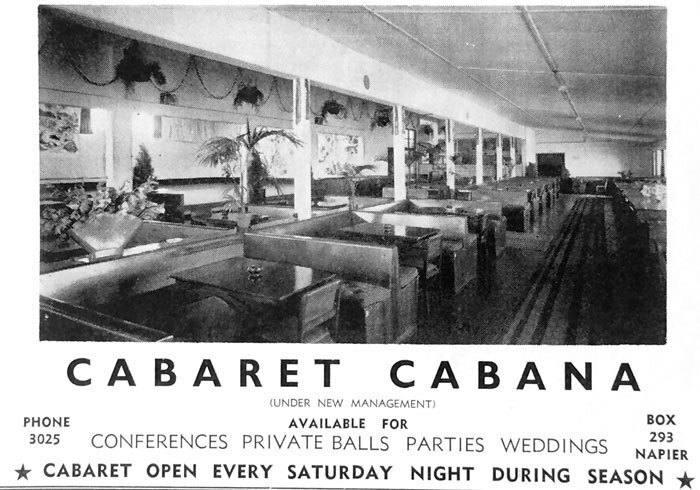 With the Top Hat Club in full swing in Napier city at this time, and the increasingly popular Cabana Hotel now hosting many of the touring bands, who would often stay and play seven nights a week, the end of the Cabaret Cabana was in sight for Vic O’Brien, although he continued hosting bands through to the late 1970s. 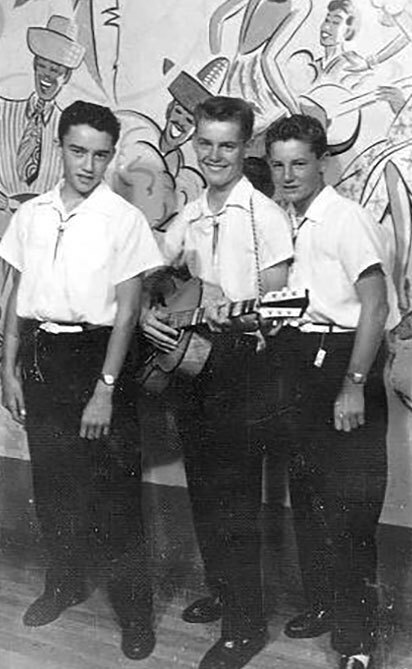 Both the musical and dress fashion had clearly changed over the decades. During the 1980s, the venue was initially renamed The Polynesian Palace, where games and Polynesian dance performances were held and it remained a popular place for some time. It was now under the ownership of Donald Young and another name change followed, this time the Cabaret Oriental. The Cabaret Oriental also hosted punk rock bands during the 1980s, a huge contrast to the Swing Balls of the late 1950s. Various business proposals were put forward to the Napier City Council over the next few years for new businesses in the old building. These included an early childhood centre, a casino (apparently there were many illegal gambling nights held there in the 1960s), helicopter tours, and even a supermarket. Nothing eventuated. 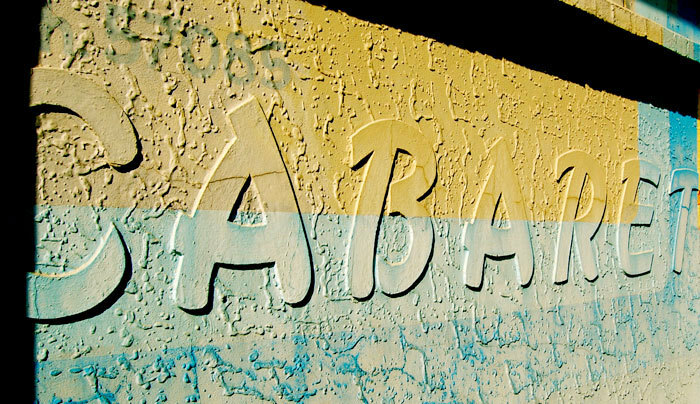 One of the last gigs held at the old Cabaret Cabana was a techno rave in the 1990s which apparently was messy, messy … as in total destruction’! 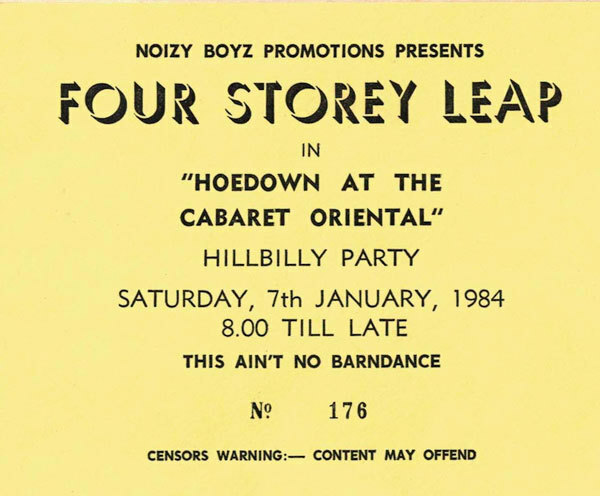 This put an end to any further gigs in what was once, in the 1950s, one of New Zealand’s leading venues. In the 2000s a paua farming operation, Paua Fresh, was set up in the location. This operation was abandoned in 2011 and the building remained unoccupied thereafter, until on December 8, 2014, 65 years after Claude and Melva had their opening night, sadly, the place burnt to the ground. 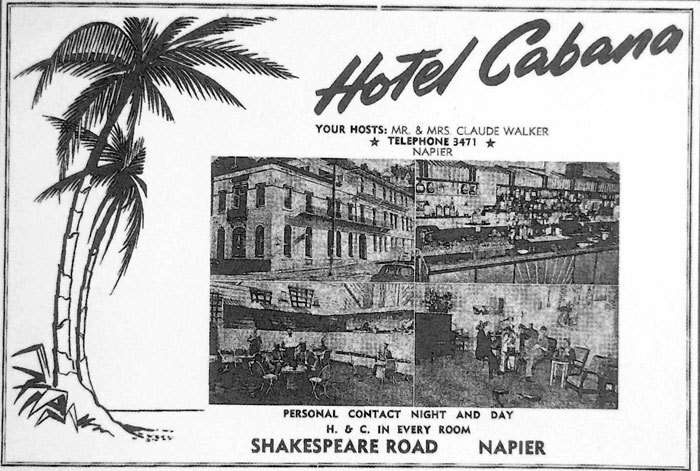 However, the Walkers' lucky name Cabana will live on forever, not only in Napier but as central to New Zealand's musical history. Many thanks to Dean Gulbranson, Dean Mardon, Maurice Bartlett, Molly Pritchard, and photos as credited. Colour photos by Lee Pritchard.